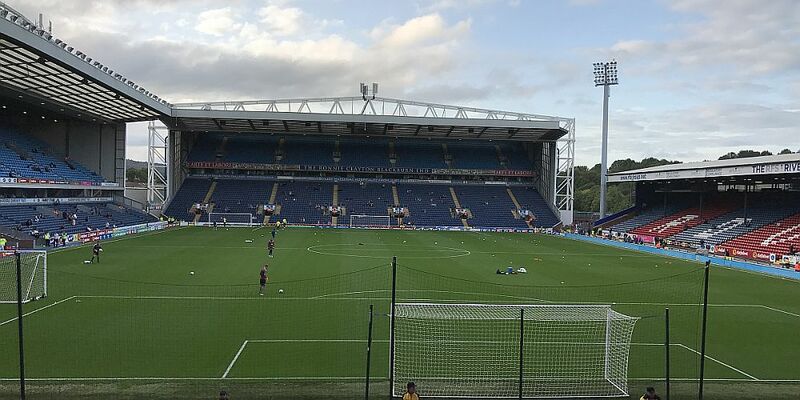 Burnley have reached the 3rd round of the League Cup, and a home tie against Leeds United, after a very comfortable 2-0 win last night against local rivals Blackburn Rovers at Ewood Park. “It’s hard to take for the Rovers fans to see Burnley that far in front of us at the moment,” said home boss Tony Mowbray. We have spent a lot of years behind them for various reasons. It’s been so hard to take over those years which is why last night meant so much. To see a Burnley team outplay them was a simply wonderful experience. “We’re going to Wembley, you’re going to Shrewsbury,” was a taunting chant from the Burnley fans. There was even a chant for Owen Coyle in recognition of his contribution to where they are now and of course to their owners Venky’s. To be honest, this was the draw I didn’t want, not at all. I’ve never particularly liked going there and the trip is even worse now with the draconian bus operation. I’ve seen us play them previously when a division above them, but only in friendlies. Yes, incredibly, we did once play friendly games against them, but this was the first time competitively and it had all the concerns of us having nothing to gain and them having nothing to lose. But, from the moment Jack Cork scored his first Burnley goal since his winner at Preston in 2011, this one was only going one way. That gulf between the two sides was wider than even I dared hope and although I’d have loved us to have scored a bag full, there was so much to be admired in the way we took the foot off the gas and toyed with them in the second half. It was like a home game outside the Turf when we got there for our bus trip around 5:50 p.m. There was a searching operation in place with women placed in a different queue although I can confirm we had not brought stewards in from Stevenage and they were not required to show their bras. Frustratingly, the bus trip avoiding the town centre went within a couple of minutes walk of my house, this some 50 minutes or so after I’d left to get down to the Turf. I’d been relaxed about it all day to be honest and remained so on the trip over. But things changed as we manoeuvred along the appropriately numbered A666 when the ground came into view. Suddenly, it’s all real again, it’s the local derby and the tension mounts. Emotions took over for me; there might not have been any Premier League points at stake but this game was very important. Sean Dyche made the changes we thought likely. There were eight in all although I understand there was a late alteration with Cork coming in for Jeff Hendrick who had suffered an injury in training. Of the summer signings, Phil Bardsley and Charlie Taylor were in for the first time, there was a first start for Jon Walters whilst latest recruit Chris Wood was given a place on a bench that was otherwise made up of players who had started the two Premier League games. As the teams came out, the Darwen End was reaching capacity but that was certainly not the case with the home stands. At one point I thought they must have forgotten to put the tickets on sale at their end so many empty seats were there and there wasn’t even a chicken in sight. Things didn’t start well for Walters, once a young player at Blackburn. He went down in the centre circle in the first couple of minutes with what was an ankle injury. When the stretcher came on it looked as though his night was over and we’d already got Wood up ready for a debut. Thankfully, he was able to continue although he didn’t quite see out the first half. I think the opening exchanges could go under the heading of local derby. There was nothing to excite at either end, they were frantically throwing balls forward but Kevin Long and James Tarkowski were dealing with them more than well enough. The first real sign that the game was going to go our way was when Ashley Barnes forced David Raya into the first of his many saves on the night and it signalled a period when Burnley grew and grew to basically end any potential threat from the home League One side. When Barnes got the ball again he did really well to move forward with it and find Robbie Brady on the right. Brady’s cross couldn’t have been bettered and Cork, who had a simply outstanding game, was there to head home. What happened next we can certainly do without. Flares in the Darwen End were not necessary and I believe one youngster was injured by one while others were struggling breathing wise with the effects, but on the pitch a couple of home fans got on with one of them appearing to grab Ashley Westwood. I saw him coming on from the Riverside and he was allowed to run some distance towards the Burnley players without any reaction whatsoever from stewards or police. I’ve since learned he’s in custody. I don’t know what the sentence will be but he should be banned from attending any football matches for a very, very long time. As the first half moved into the last few minutes we really got hold of the game by the scruff of the neck but it was the end of the night for Walters two minutes before the break with Wood now coming on for a debut. Six minutes were added, mainly for the Walters injury early in the half, and we might have had another three goals. Brady fired just wide, Wood saw his first effort on goal saved by Raya and then Brady again came close. We weren’t to be denied. Wood did well down the left hand side and was able to get the ball back to Cork. Brady received the ball from the midfielder, got past a defender and hammered in an unstoppable shot from a tight angle. What had been a good first half had become even better and there was no way now we were going to allow our lower league opponents back into this game. We might have had more goals in the second half which, in the main, we totally dominated. We moved the ball around nicely and the gulf that Mowbray referred to was there for all to see. It was almost total control for long spells and you got the sense that had it been needed we’d have just calmly moved out of first gear and scored again. Towards the end, they did have the ball in the net but were offside, and they did fire a couple of shots wide, but the best opportunities came right in front of us with the best possibly falling to Wood who was set up by his former Leeds team mate, the hugely impressive Charlie Taylor. Embed from Getty ImagesBy now the Burnley fans were in full voice. Besides the Shrewsbury and Coyle chants there were reminders that we all saw them crying when Birmingham scored along with our support of the Venky’s. Last night was my 16th visit for a competitive fixture and I was watching us win for a ninth time. I can promise you it gets no less pleasurable. Back in 2014, when that long wait ended, I recall writing that I was so pleased for all the Burnley fans who’d never seen it. It looks as though we are all getting used to it now. So it’s Wembley on Sunday although I can confirm that Blackburn will have to wait a further four weeks before they make their trip to Shrewsbury. This was the tie I didn’t want. At around 9:40 p.m. yesterday I wouldn’t have wished to be anywhere else. Blackburn: David Raya Martin, Paul Caddis, Elliott Ward, Charlie Mulgrew, Derrick Williams, Liam Feeney (Elliott Bennett ht), Richard Smallwood, Pete Whittingham (Dominic Samuel 66), Harrison Chapman, Ben Gladwin (Craig Conway ht), Marcus Antonsson. Subs not used: Jayson Leutwiler, Jack Doyle, Corry Evans, Danny Graham. Burnley: Nick Pope, Phil Bardsley, Kevin Long, James Tarkowski, Charlie Taylor, Robbie Brady (Johann Berg Gudmundsson 78), Ashley Westwood, Jack Cork, Scott Arfield, Jon Walters (Chris Wood 43), Ashley Barnes. Subs not used: Tom Heaton, Matt Lowton, Ben Mee, Steven Defour, Sam Vokes. Yellow Cards: Phil Bardsley, Kevin Long. Attendance: 16,313 (including 5,135 Clarets).